MEGA magazine awards Kapamilya stars at their millennial ball. Glamor filled the 2018 MEGA Millennial Ball as celebrities from different television networks, as well as social media influencers and socialites, attended the fashion magazine’s annual event. Carrying the theme of The New PH, the attire motif was Maximum Exposure. Kapamilya stars specifically had a special participation at the ball. As such, Vice Ganda gave the final catwalk on the runway of the event’s fashion show by designer Furne One. MEGA’s June cover girls Maymay Entrata, Kisses Delavin, Elisse Joson, and Janella Salvador also graced the runway. Likewise, Kapamilya love team Maymay Entrata and Edward Barber, and ‘Soul Supreme’ KZ Tandingan were recognized as MEGA New PH awardees for Entertainment. 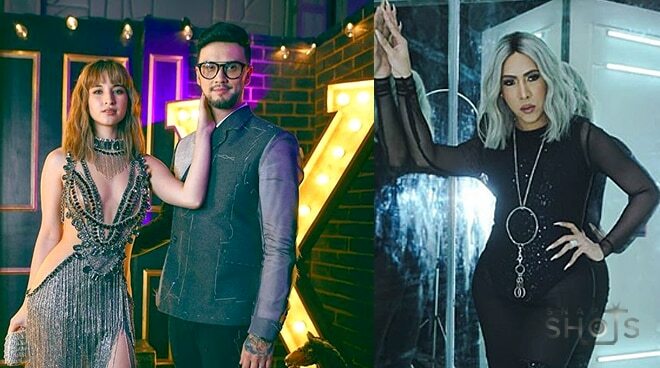 Other celebrities who attended the event included Billy Crawford, Coleen Garcia, Bela Padilla, Maris Racal, Barbie Imperial, JM de Guzman, JC Santos, Tim Yap, Lauren Reid, Lovi Poe, Claudine Barretto, Regine Velasquez, Catriona Gray, Kylie Versoza, Megan Young, Gabbi Garcia, Karylle, Dominique Cojuangco, Marco Gumabao, Kiana Valenciano, Sanya Lopez, and Bianca Umali, among others. Check out more of the the Mega Millenial Ball photos HERE.